If you have setup Home Wizard using an email address as your username, then enter the email address below, and your password will be sent there. For security reasons, you will need to either get your existing login info. from your mobile app version of Home Wizard, or go to Initial setup new. create as a new user. 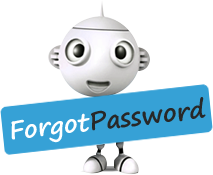 For security reasons, if you cannot find your password on your own, you will need to go to Initial setup new. Initial Setup to create as a new user.